A Jewish Marxist is being brought to the Courts, accused by the Nazis of having “defamed” them. Are we in Germany in 1933? Not at all: this happens in “democratic” (with many inverted comas) Greece in 2013. 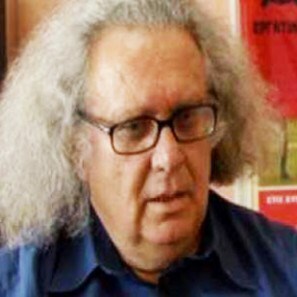 The accused is Savas Mikhail, a brilliant intellectual and leader of one of the Marxist-revolutionary organizations of the Greek Left. Savas Mikhail is an unusual person and a thinker quite beyond norms: an anti-Zionist and internationalist Greek Jew, he is the author of a considerable oeuvre, unclassifiable, somewhere between literature, philosophy, and class-struggle, with an outstanding originality and dynamism. The first thing which impresses the reader of his writings is his immense culture: the author is familiar with the Bible, the Talmud, the Kabala, the ancient Greek theatre, European literature, contemporary French philosophy, modern Greek poetry, Hegel, and Marx–not to speak of Trotsky, his main political inspiration–and one could enlarge the list. One of the most singular characteristics of his thought is the attempt to re-interpret Marxism and revolutionary theory in light of Jewish Messianism and mysticism, and vice-versa. It is an inventive and paradoxical experiment, which belongs–like the writings of Ernst Bloch and Walter Benjamin, two of his favourite authors–to the universe of religious atheism, or, if one prefers, of profane Messianism. These ideas are for the first time discussed in a central way in a remarkable collection of essays published in 1999, Figures of the Messianic. His last book, Golem: On the Subject and Other Phantoms is another example of this religious atheist, Judeo-Marxist approach. It is a collection of essays concerning not only the Golem legend, but also Kafka, Hölderlin, Lacan, Philippe Lacoue-Labarthe, Hegel, Marx, and some modern Greek poets such as Andreas Embirikos. The coherence of the book is given through its unique way of associating, combining, and fusing Jewish mysticism, literature (Greek and universal), and revolutionary Marxism. Savas Mikhail has never hidden his anti-fascist commitment, and has not ceased, in the last years, to denounce the sinister activities of the Greek neo-Nazi organisation “Golden Dawn” (Chryssi Avghi), which should rather be called “Bloody Sunset”. 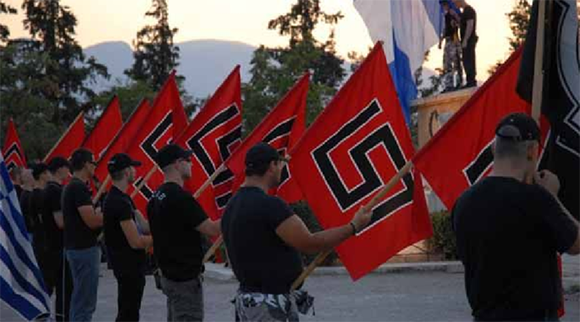 In 2009, this organization, which openly and insistently claims the heritage of the Third Reich, presented, to the Greek Courts, a lawsuit against a great number of militants of the entire Greek Left or Far Left, as well as against all the immigrant associations, cultural groups, and independent personalities. By decision of the Prosecutor–named by the Neo-Liberal Right-wing government–the police called in 2012 all these personalities for interrogation. All of them refused to come, but presented by their lawyers legal depositions answering and rejecting the accusations. After examining these documents, the Prosecutor decided to bring to the Courts only two of these dozens persons accused by the neo-Nazis: Savas Mikhail and the former Dean of the Polytechnic School, Constantinos Moutzouris, who was accused of having permitted Indymedia, an alternative social media, to use the facilities of the School for its emissions. As for Savas Mikhail, he was accused of “defamation” toward the neo-Nazis, because he denounced them as criminals; of “incitation to violence”, because he called to fight fascism; and “attempt against civil peace” for having called, in a pamphlet, to demonstrate against Chryssi Avghi. Meanwhile, the Greek neo-Nazis unleashed a brutal anti-Semitic campaign against Savas Mikhail, denouncing him in their media as “an agent of the Jewish world conspiracy against the Greek Nation, aiming to provoke a civil war and establish a Judeo-Bolshevik regime”. It gives a sinister feeling of déjà-vu. This affair has of course raised numerous protests in Greece and Europe, but nevertheless the trial will take place, and the date will be September 3, 2013. It is an important issue: beyond the accused persons, it will be decided if it is still possible in Greece, in the future, to freely express antifascist ideas. The whole affair illustrates not only the extraordinary arrogance of the so-called “Golden Dawn”, but also the more and more obvious complicity of the present Greek government, presided by Mr Antonis Samaras, with the Greek fascists. Several of the Ministers in this increasingly authoritarian and repressive government come from the Far Right: the “adviser of the Minister” for Immigration, Kostoulas, is the author of a negationist book glorifying the Third Reich; the ruling party’s (so-called “New Democracy”) parliamentary group’s spokesperson at the Parliament, Makis Voridis, is a former leader of the “Nationalist Youth Movement” promoted by the dictatorship of Colonel Papadopoulos (1967-1974). The recent decision of Antonis Samaras to pure and simply close ERT, the Greek public television, and throw out all its employees–a decision which provoked a governmental crisis, with the departure of the moderate Democratic Left Party–was warmly supported by Chryssi Avghi. We will know, on September 3, if anti-Semitism has become the law in Greece or if a minimum of democratic guarantees still exist. Perhaps you’ve answered your own question, Istvan… We should stick to the main issue. Why is Mr. Löwy not telling us that comrade Savas is one of the leaders of the Workers Revolutionary Party (EEK) instead of leaving us offhand with an anonymous “one of the Marxist-revolutionary organizations of the Greek Left”? Is this because of the EEK belonging to the Committee for the Refoundation of the Fourth International? The EEK is by far larger than the Greek section of the USFI wich Mr. Löwy belongs to(www.eek.gr). Is this a kind of a USFI sectarian stance? The EEK recently held in Athens a Workers International Conference on the revolutionary developments in the Mediterranean basin and the deep crisis in the EU countries. So many working class organisations and individual militants attended the meeting, from a wide spectrum of anti-capitalist traditions. (see: http://redmed.org/article/international-conference-europe-crisis-internationalist-revolutionary-alternative). Greece: Abusive trial of University Rector and anti-Nazi activist after Golden Dawn complaint!